Tim G. Ceperley, Of Counsel, has more than 30 years’ experience in commercial litigation, focusing on business disputes and insurance defense. He handles civil actions from inception through trial and appeal, as well as mediation and arbitration. Tim assists clients with contract and business disputes, contractor and property owner liability, lender and mortgage servicer liability, products and premises liability, trust litigation, probate and estate disputes, employment litigation, partnership and shareholder disputes and unfair business competition claims in both state and federal courts. 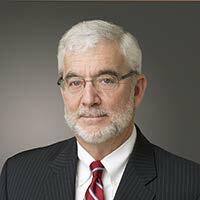 He has handled cases and appeals involving many sectors of the business community including real estate, banks and lenders, property owners and contractors, manufacturers and distributors, sureties and bond holders, recalls and retrofit activity, environmental law and tax shelters. Tim is an avid reader and student of history, humanities and political science. He travels whenever possible to historical areas of the world and enjoys outdoor activities.